Kristoffer Linderman (left), Gustaf Bohlin (centre) and a group of students from across the United States were enrolled in the Research Experiences for Undergraduates Site in Computational Sensing. For 10 weeks during the summer, Kristoffer Linderman and Gustaf Bohlin, undergraduate students in the Computer Science and Application Development programme at Malmö University, participated in a computational sensing research programme at the Rochester Institute of Technology (RIT) in upstate New York. 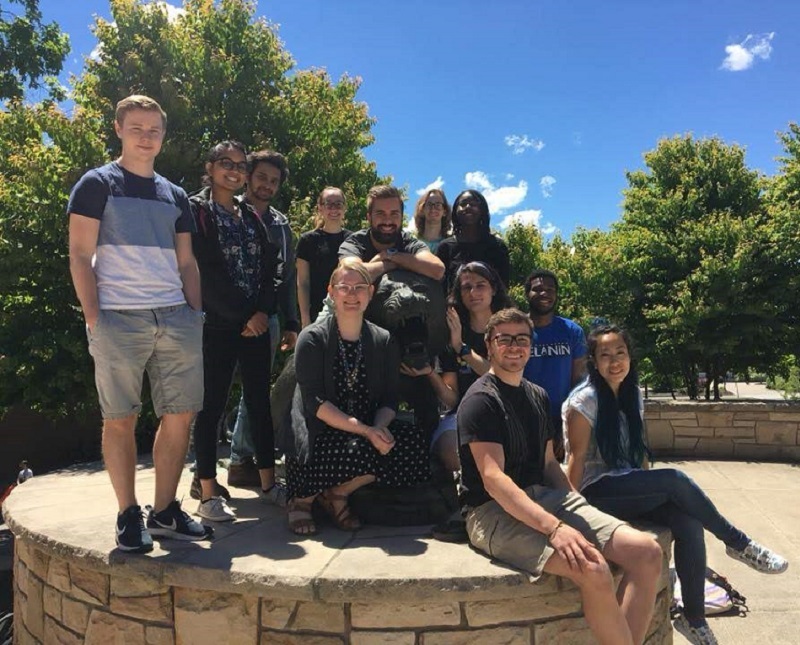 The Malmö students’ participation in the Research Experiences for Undergraduates (REU) programme is a recent expansion of a longstanding partnership between Malmö University and RIT and aims to give undergraduate students a chance to try their hand at research. While there have been regular semester-long staff exchanges and research collaborations between Malmö University and RIT for several years, Linderman’s and Bohlin’s participation this summer marks the first time that students from Malmö University have participated in research at RIT. Gustaf Bohlin (left) and Kristoffer Linderman (centre) with RIT associate professor Cecilia Ovesdotter Alm (right), from the College of Liberal Arts. Photo: RIT University News. In their research project, Linderman and Bohlin worked on developing a recommendation system that uses cameras and machine learning to analyse how viewers of online video react physically to the content. 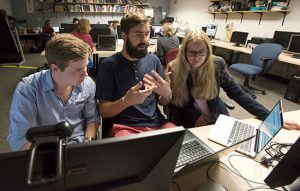 The project was conducted under the guidance of RIT associate professors Cecilia Ovesdotter Alm, from the College of Liberal Arts, and Reynold Bailey, from the Department of Computer Science. Bo Peterson, Thomas Pederson and Dipak Surie from Malmö University participated as external evaluators during the final presentation of the project.